Nothing has quite the look or durability of brick, and brick patios can make just the right statement when added as an extension to your home. Not to mention, brick patios can add value to your home as well, and at Woodcraft Design & Build, we have the experience to build the right patio for you. 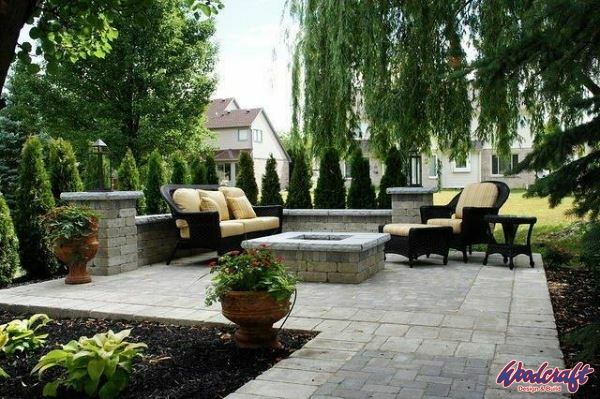 A great backyard starts with the right patio, and brick is the perfect foundation. Brick allows for great variety of colors, textures, and layouts. 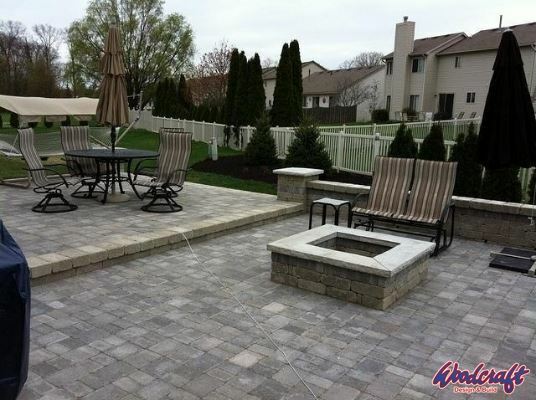 When you want something a little different or unique, brick will allow you to create a one-of-a-kind patio that you can be proud of. 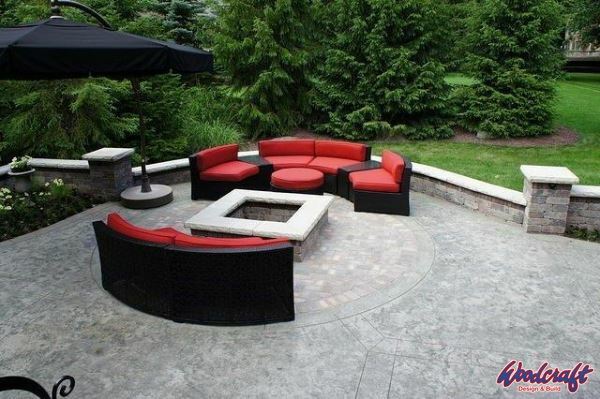 If you are looking to take your new patio or an existing one to the next level, then you need to consider a fire pit. Brick fire pits add a sense of style and flare and are great for dramatic effect as well as practicality. By including a brick fire pit, you extend the number of months per year you can enjoy your backyard and the great outdoors when the temperatures start to cool off in the fall. You and your family won’t have to run back inside as the sun fades. Instead, lit up the fire pit and enjoy the evening and make some great family memories. If you want a beautiful new brick patio, it isn’t as simple as laying the brick and walking away. In fact, there is a lot that goes into getting that great final look. From ensuring that the ground is level to keeping weeds from growing through the bricks to keeping the bricks level long-term takes training and experience. 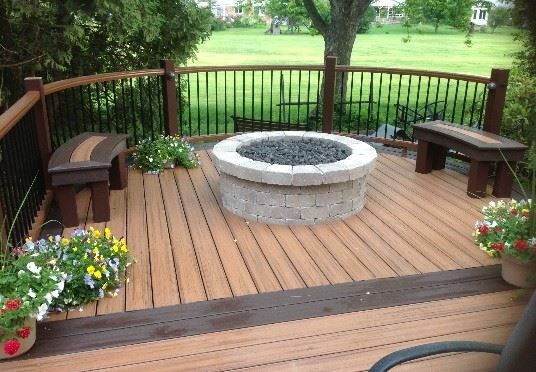 At Woodcraft Design & Build, our team has over thirty years experience as brick patio contractors, and through those years we have gained the knowledge and experience to make sure your brick patio installation provides you with a great looking patio that will go the distance. In addition, we offer a standard five year warranty on our work as well as financing. We want to make the whole process as easy as possible from start to finish. As a family owned business, we know how important your home is to you and your family. That’s why we treat you like you are part of ours. Take a moment, right now, to learn more, so you too can start enjoying your new brick patio today. We had a great experience. The quote price was exactly what we paid without any hidden costs. The team was very easy to work with and were open to changes that we needed along the way. We are very pleased with the quality of the finished product and would most definitely hire Woodcraft again for another project!